There are many people looking for ways to make fast cash. Apart from a get rich quick scheme there are opportunities to make fast cash and legally. At one time I found myself feeling a financial crunch that was very uncomfortable. I started to think of ways to make money. I remembered a conversation with a friend who told me that he broke six figures in income that year and he did this by cleaning. Cleaning. Yes, you may think that cleaning is not a lucrative business model. However, I have learned that many people do not like to clean and they will gladly pay someone to do it for them. In my quest to make fast cash I began cleaning for a living. I learned a lot about this business. I watched videos and read tons of books however not one of them discussed vital information that I needed. I needed key information to help me with different situations that I came across in various cleaning situations. I learned the information I needed through trial and error. I now know that cleaning is a great way to make fast money and I want to encourage people who need to make money quickly to follow my lead. * Who provides the cleaning supplies? * What questions should you ask potential new clients? * What marketing strategies are effective in finding new clients? * What cleaning situations should you be cautious of. * Terminating a relationship with a client. * Ways to make extra money with your current clients. 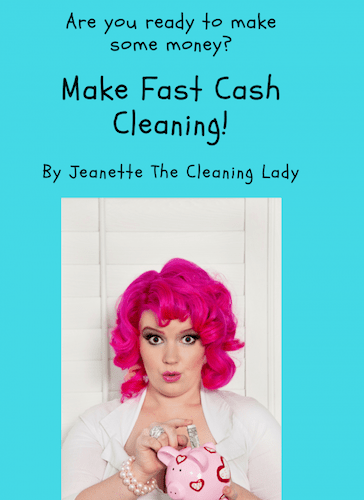 This ebook is like a manual to help you start your cleaning business. Quite frankly, if you are strong and healthy and are not afraid of hard work you can make fast cash by cleaning. I know because I am doing it. 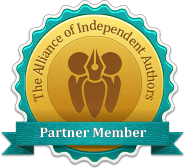 How will this ebook help you? Rather than you spending hundreds of hours researching this material you can take an hour to read this ebook and save yourself time. When you are done reading you will be ahead of the cleaning game and ready to put your knowledge into action.